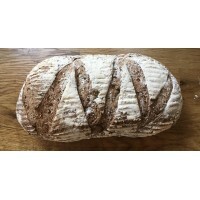 Welcome to the website for Hempnall Village Bakery. Thanks for coming to see us! 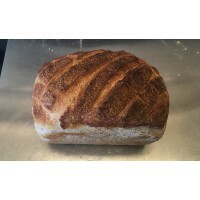 We are a small bakery business offering freshly made artisan breads. 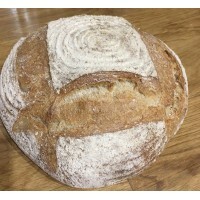 We are passionate about producing fantastic tasting, traditionally made bread with nothing unnecessary added. We are offering regular Saturday deliveries to Hempnall & the immediate area. If you're a bit further away, you can collect your order either directly from us or from one of our stockists - Old Hall Farm in Woodton, The Butcher's House in Long Stratton, or Farmer's Kitchen in Alburgh. You can also find our fresh bread for sale in these venues on Saturday mornings. You can browse our products on the website, read more about what we do, and place an order. There is an option to pay by bank transfer, or Paypal if your order is over £10, and we are always happy to accept cash on delivery or collection. You can always give us a call or drop us an email to order as well. We also sell our own locally produced jams and preserves, raw honey & pasteurised apple juice. The pain au levain is a 100% sourdough bread. This means that it contains no added yeast but is leav.. This is a 100% sourdough bread. This means that it contains no added yeast but is leavened by the ad.. 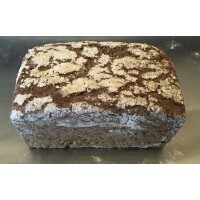 This is a traditional, yeasted granary loaf, made with a mix of white, wholemeal & malted wheat .. Very rich & tasty, large hot cross buns made with our own honey, cider, saffron infused double c.. Very rich & tasty, large hot cross buns made with our own honey, saffron infused double cream, l..